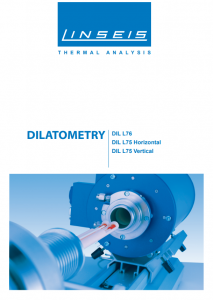 The horizontal Dual- and differential- Dilatometer (DIL) series L75H was developed to meet the demands of the academic community and research laboratories worldwide. With this system, thermal expansion behavior of solids, liquids, powders and pastes for a variety of applications can be precisely determined. 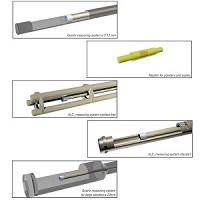 The unique design of this system guarantees highest precision, reproducibility and accuracy. This line of Dilatometers is capable of performing measurements under vacuum, oxidizing and reducing atmospheres. 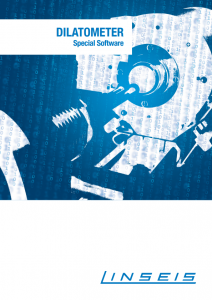 This system can be ordered in a single, dual or differential version for even higher precision or sample throughput. Optionally the mechanical and electronic components of the dilatometer can be separated to allow measurements in a glove box. With our automatic pressure control, the contact pressure can be continuously varied between 10 and 1000mN, depending on the application. 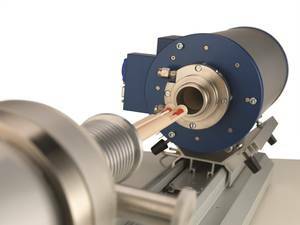 This feature continuously controls the selected contact pressure throughout expansion and/or shrinkage of the sample. 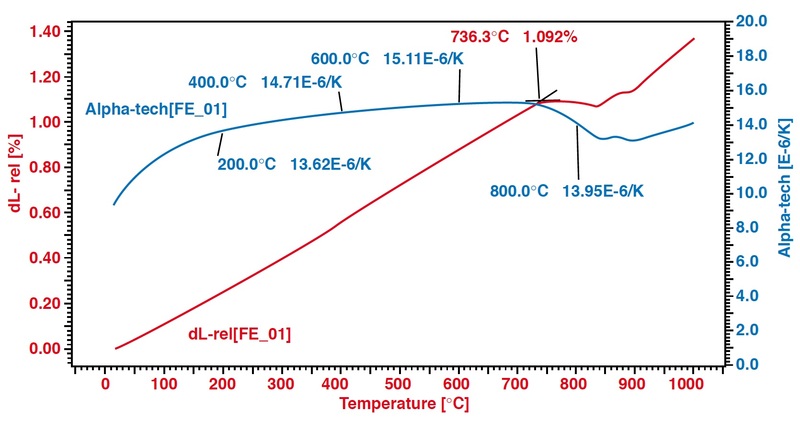 CTE, Linear Thermal Expansion, Alpha Physical, Sintering Temperature, Phase Transformations, Softening Points, Decomposition Temperatures, Glass Transition Temperatures. 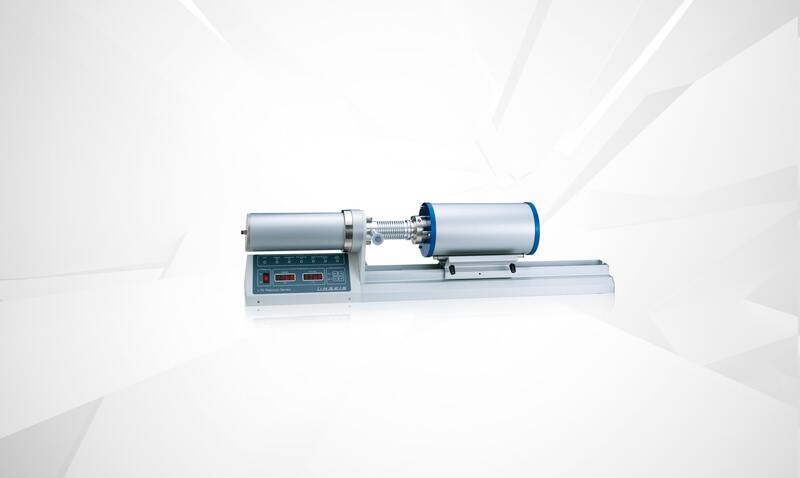 The thermal expansion of rock crystal can be easily evaluated with the L75 Dilatometer. 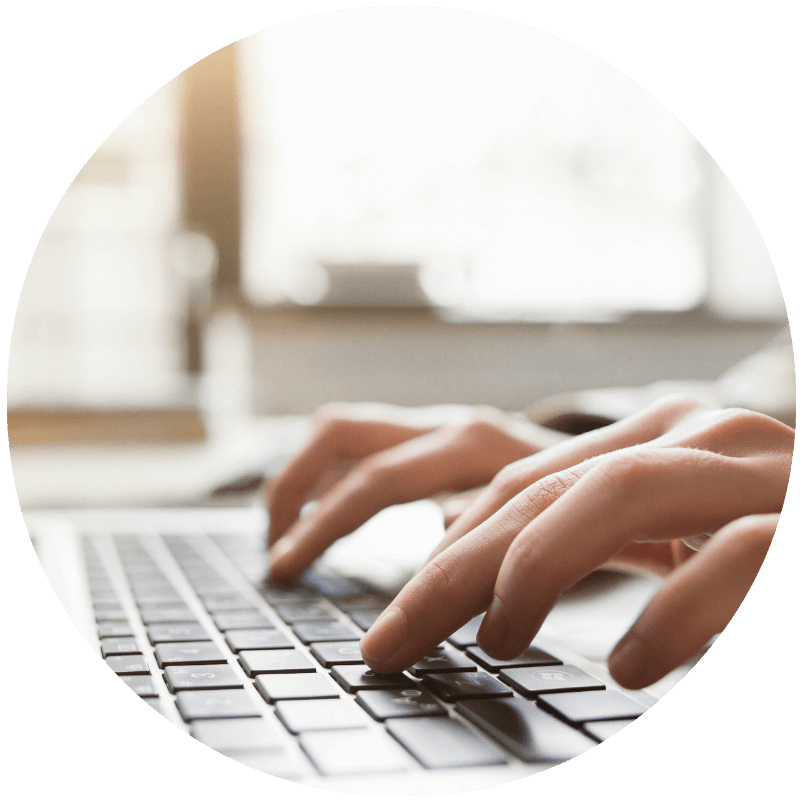 The additional DTA feature enables an in depth view of the thermal behavior of the material. The DTA measurement is a mathematical routine based on the sample temperature. 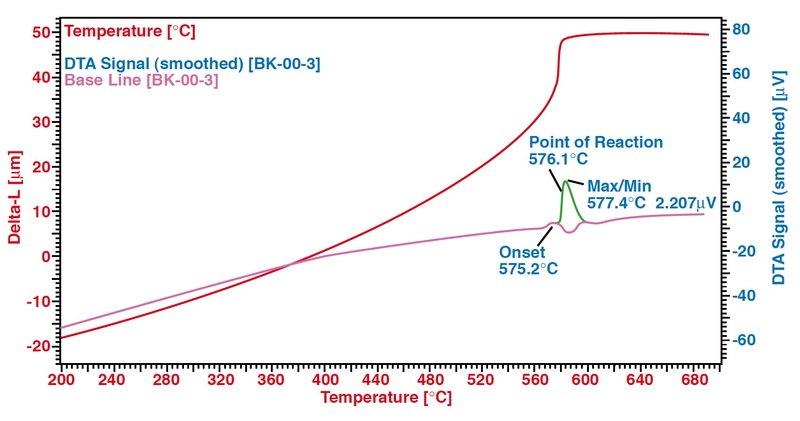 Exo- and endothermic effects influence the change of the sample temperature during the dynamic heating or cooling cycle. At app. 575°C the phase transition from takes place. The deviation of the measured temperature from the literature value (574°C) can be used for a temperature calibration.